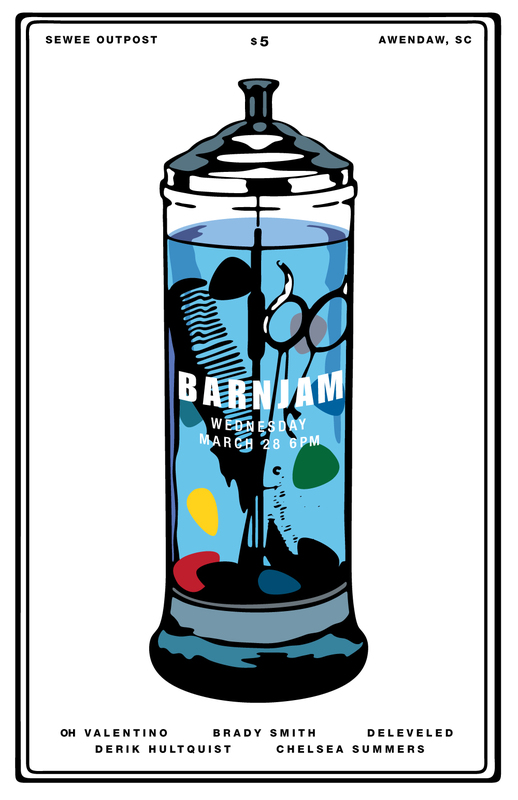 been slammed lately so this barn jam poster got finished in the nick of time. that is, a few hours before the show that is tonight!! spring weather should draw you cats out. have fun and comb your hair for christs’sake! « aaron draplin in charleston, hell yea! !